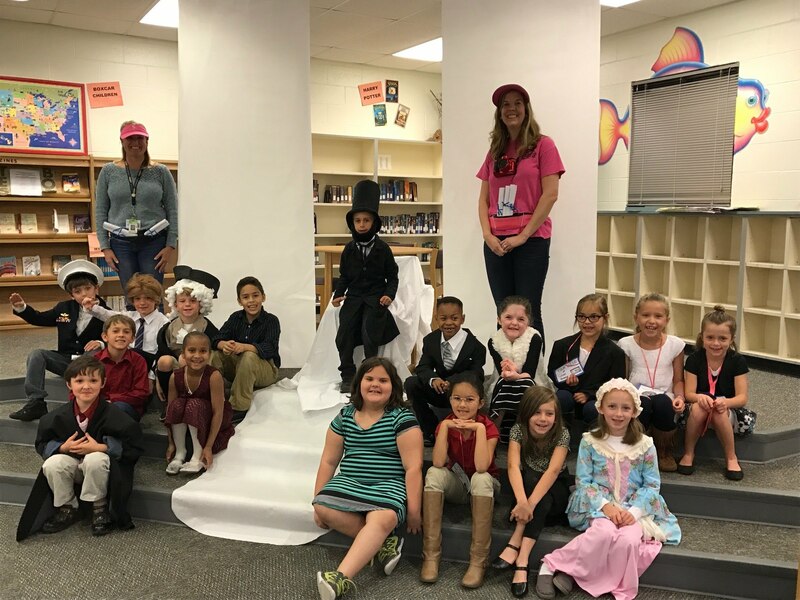 A 1/2 combination class at Topsail Elementary has been researching Washington, D.C. Students learned about the Lincoln Memorial, the Tomb of the Unknown Soldier, Betsy Ross, presidents and first ladies of the past and present, the White House, the U.S. Mint, and the Jefferson Memorial. Last week, the class transformed the Media Center into a tour of Washington, D.C. for parents and other classes to visit. 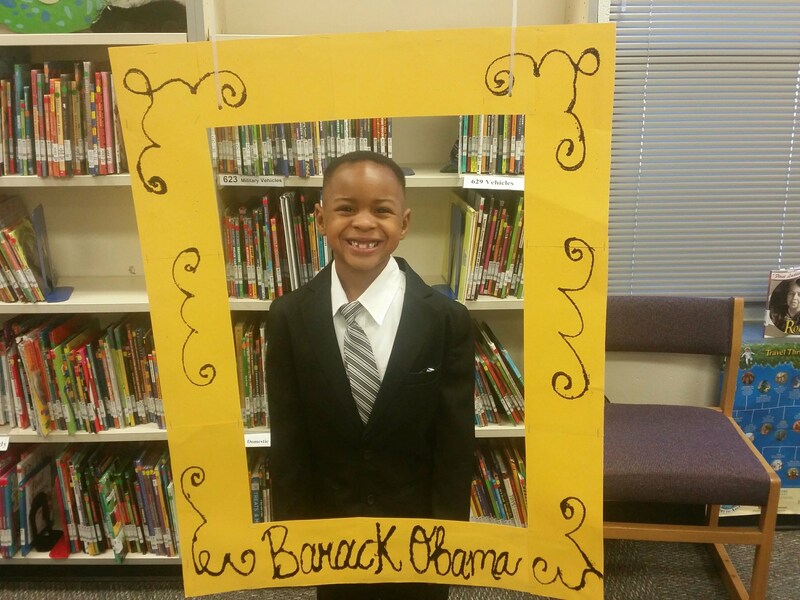 Students shared what they had learned about our nation’s capital while dressed as historical figures and places.